Cafes are places that extend the public space in the city. Space for meetings, leisure and work. In the ambient of distinctive streets and passages in the center of Prague, Jindřišská passage is preserved from the 1930s near Wenceslas Square. 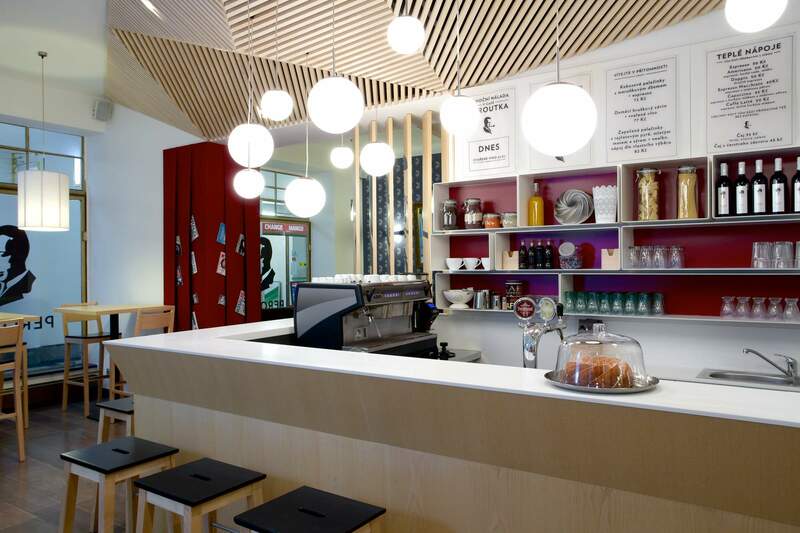 Monom and the PR clinic together created the café PEROUTKA concept. 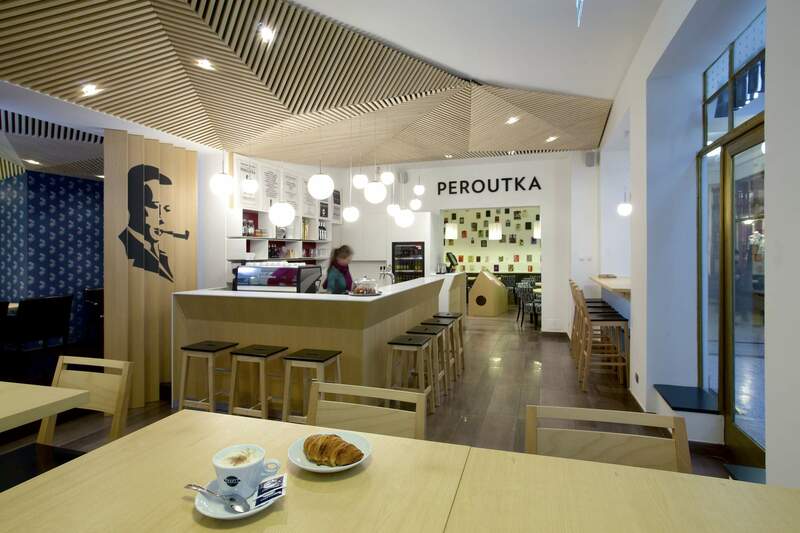 The aim was a pleasant charismatic environment – open to the passage – a welcoming, bright and quiet place in the center of a busy center – a reminder of the great man Ferdinand Peroutka.